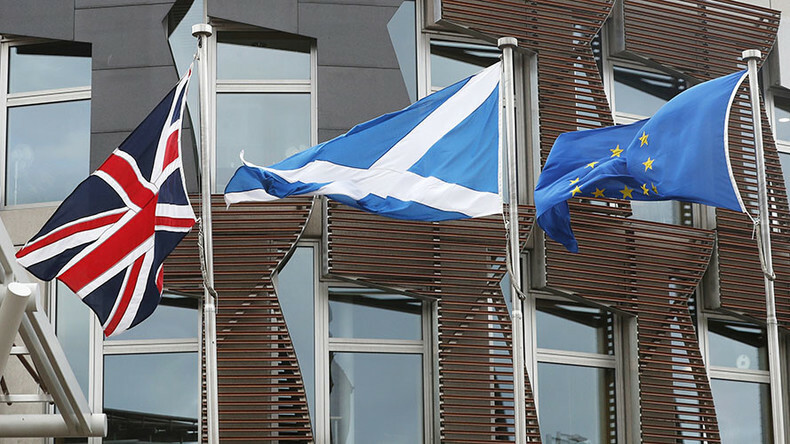 Is Britain dragging Scotland out of the EU against its will? North Korea warns of “merciless attacks” if the USS Carl Vinson infringes on its sovereignty or dignity during US-South Korea military drills. After Dutch officials barred Turkish ministers from speaking at political rallies, the drama continues to escalate. Bianca Facchinei has the story. Canada is showing early warning signs of financial crisis, according to the Bank for International Settlements, which has flagged a number of vulnerabilities in the Canadian economy. Alex Mihailovich has the latest. Hijacking oil tankers off the coast of Africa has slowed down in recent years, but Somali pirates are suspected of a recent incident. Manuel Rapalo has details. Steven Keen, professor of economics at Kingston University, London, and author of Can We Avoid Another Financial Crisis? joins us to discuss who could be next to bow out of the EU.